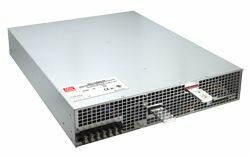 What is switch mode power supply? A switch mode power supply is a power converter that utilises switching devices such as MOSFETs that continuously turn on and off at high frequency; and energy storage devices such as the capacitors and inductors to supply power during the non-conduction state of the switching device. The supplies have higher efficiencies of up to 90 %, are small in size and widely used in computers and other sensitive electronic equipment. The circuit configuration, referred to as topology determines how the power is transferred from the input to the output. Most topologies consist of a power transformer to provide voltage scaling based on the turns ratio, multiple outputs depending on number of windings, and isolation. 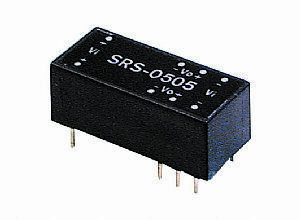 Topologies such as the buck and boost do not use a transformer, and therefore are non-isolated. Their power conversion is achieved through an inductive energy transfer alone. The non-isolated topologies have limited use and are commonly used in dc-dc regulators. 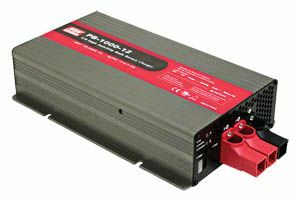 They usually produce a single output whose range is again limited by the duty cycle and the input voltage. The choice of the topology to use is influenced by cost, efficiency, size and other requirements. The unregulated input dc, either from a dc source such as rectifier or a battery, is fed to the inverter section consisting of fast switching electronic devices such as MOSFETS and bipolar transistors which are driven on and off. This causes the input voltage to appear at the primary winding as pulses at the switching frequency of between 20 and 200 kHz. The transformer output is then rectified and smoothed to produce the required D.C voltages. The frequency, which is outside the audible range, is usually fixed while the duty cycle is variable to provide the suitable voltage level required. 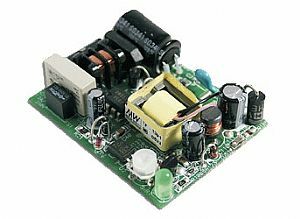 The switch mode power supplies are used in a variety of application ranging from computers, servers and associated equipment, for domestic electronic equipment, security and most of the battery operated equipment where high efficiency and small sizes are required.